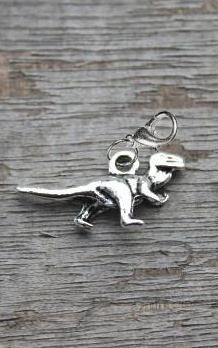 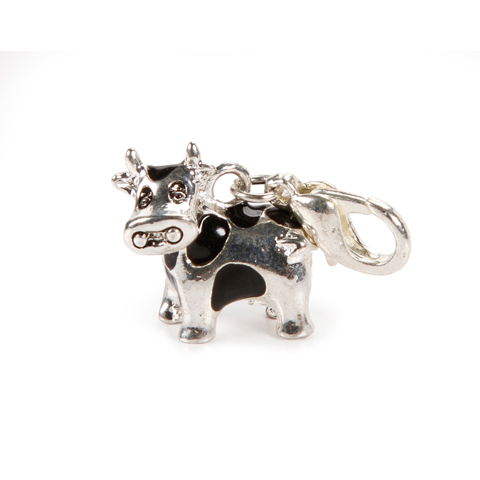 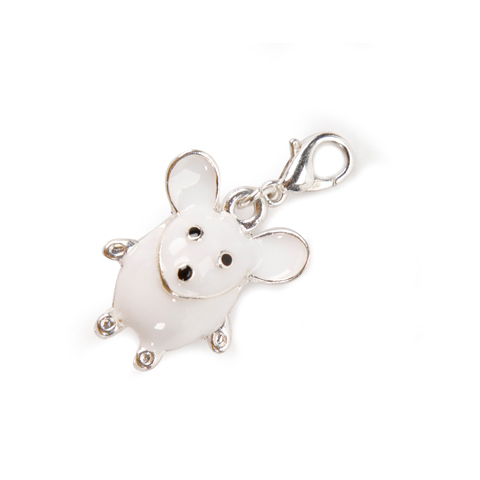 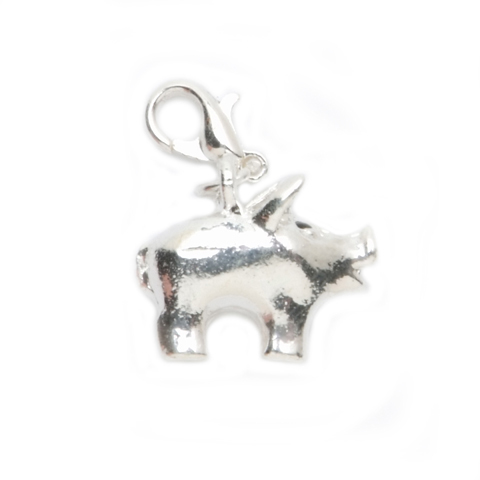 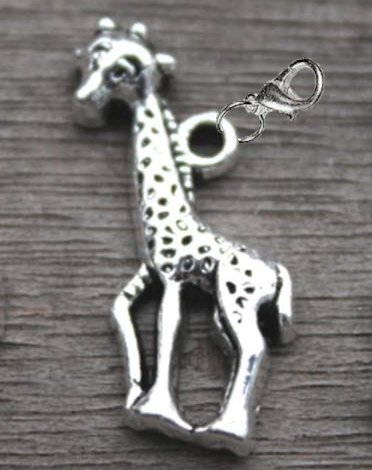 This cute little dinosaur dangle charm is antique silver tone metal. 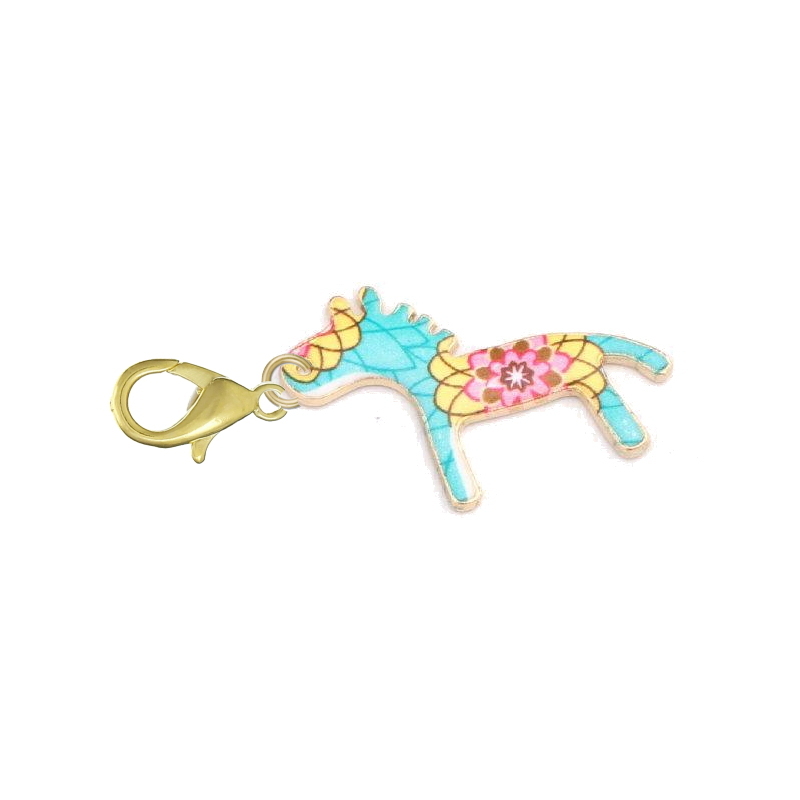 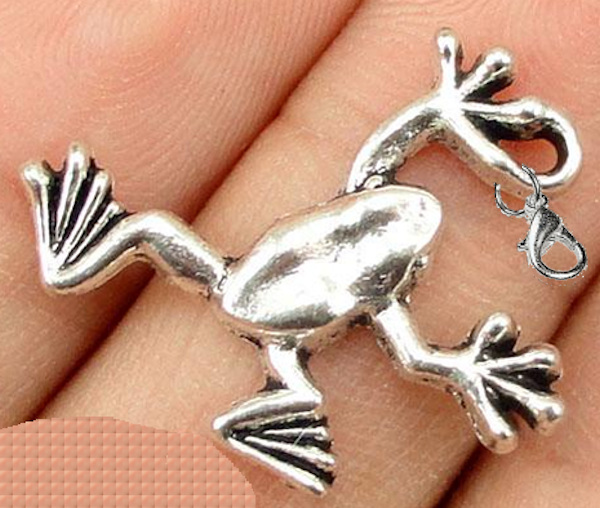 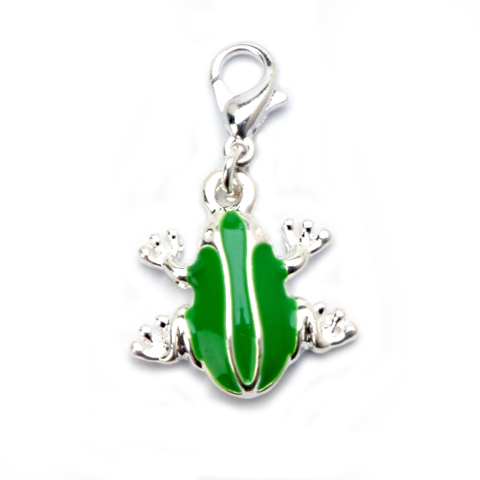 The dinosaur charm measures 0.79" wide and has a lobster clasp for security. 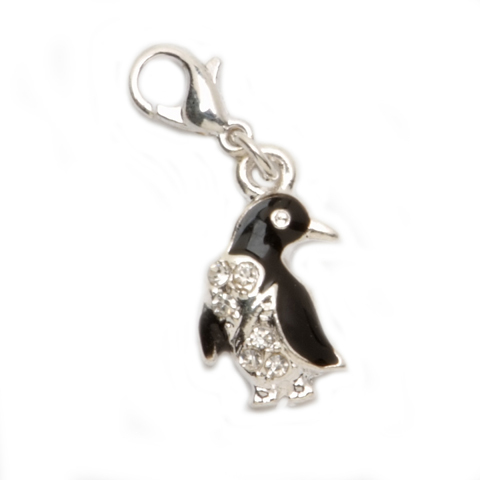 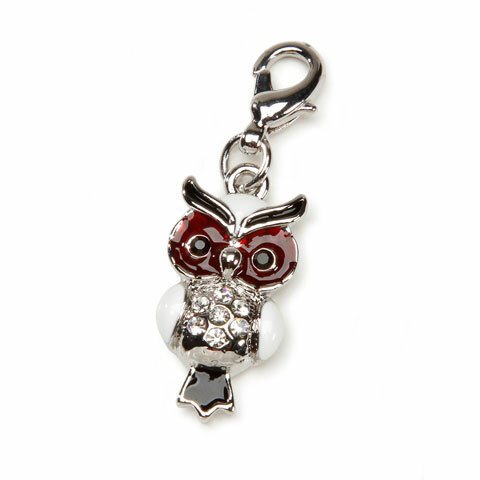 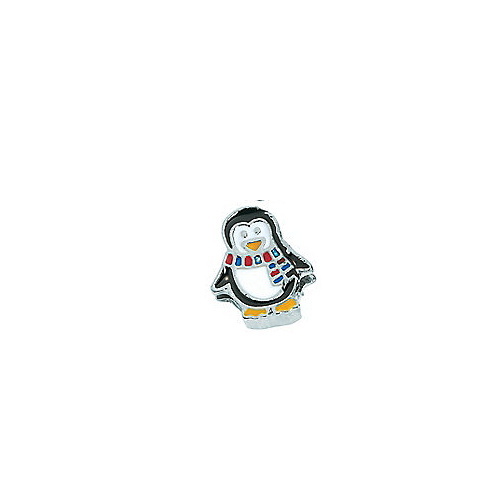 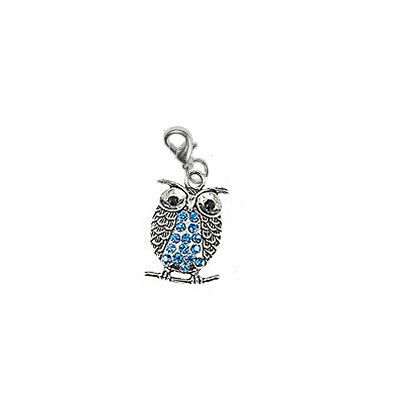 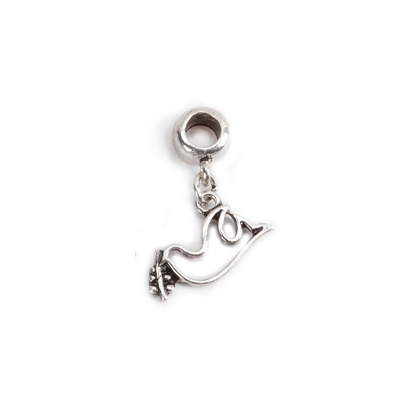 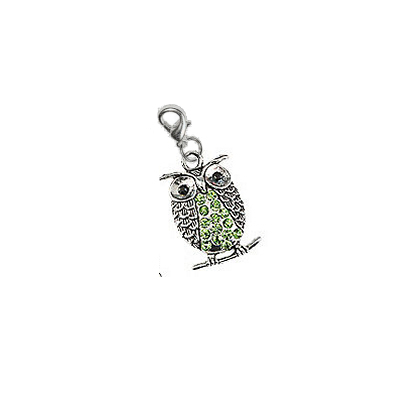 This metal dove carrying an olive branch slide charm is perfect for your bowling shoes! 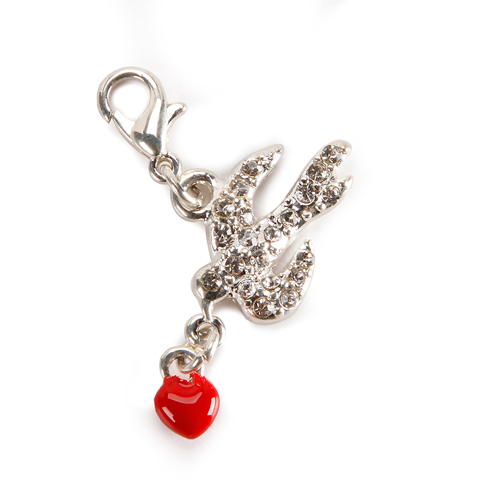 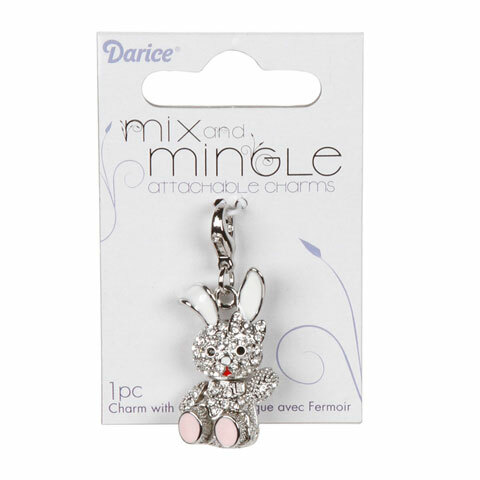 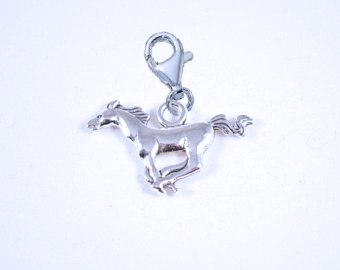 The metal dove charm measures 0.76" wide. 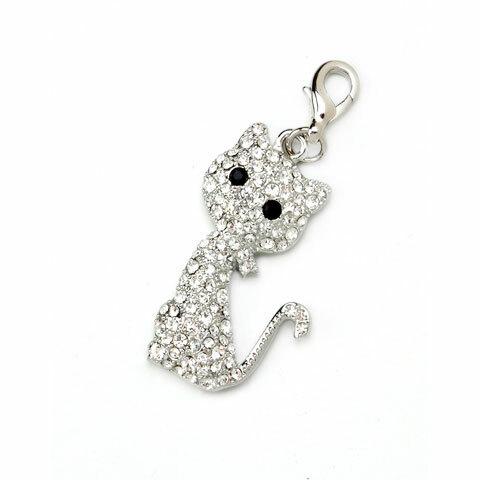 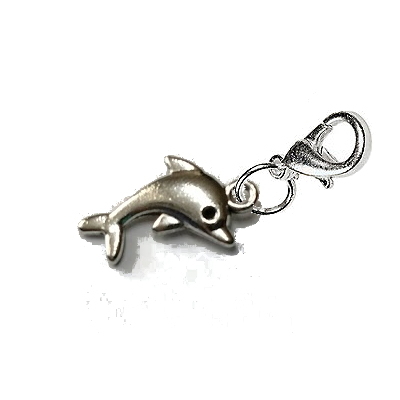 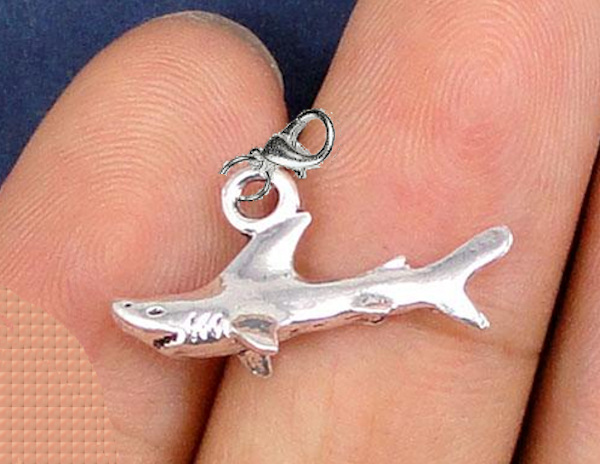 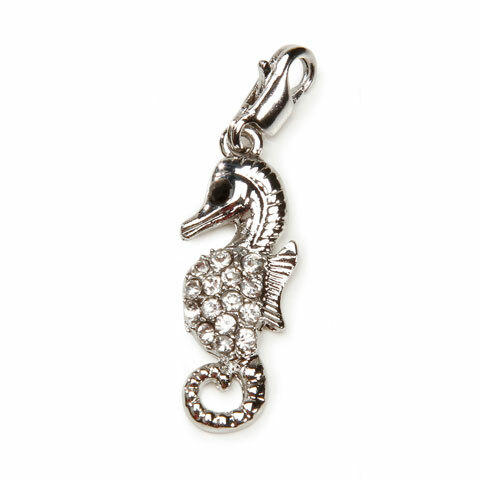 This fish charm is silver metal with a lobster claw clasp. 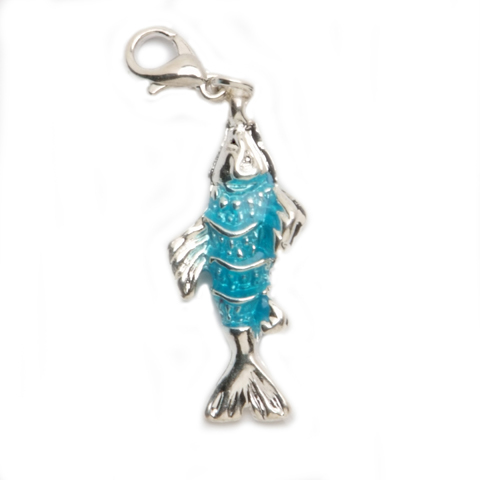 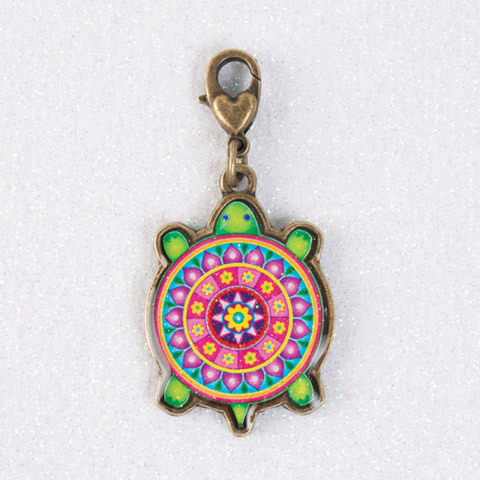 The fish charm is 0.54" long and one sided. 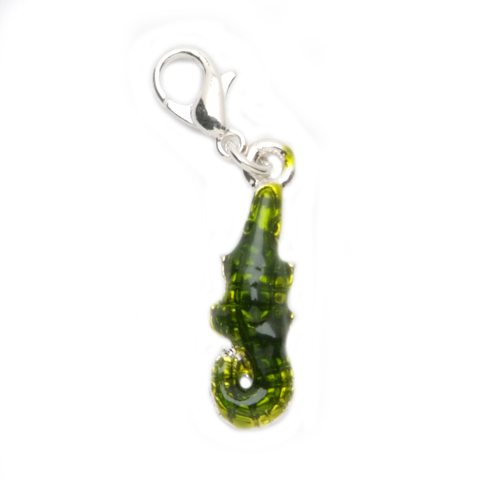 This octopus is a mysterious looking fellow indeed. 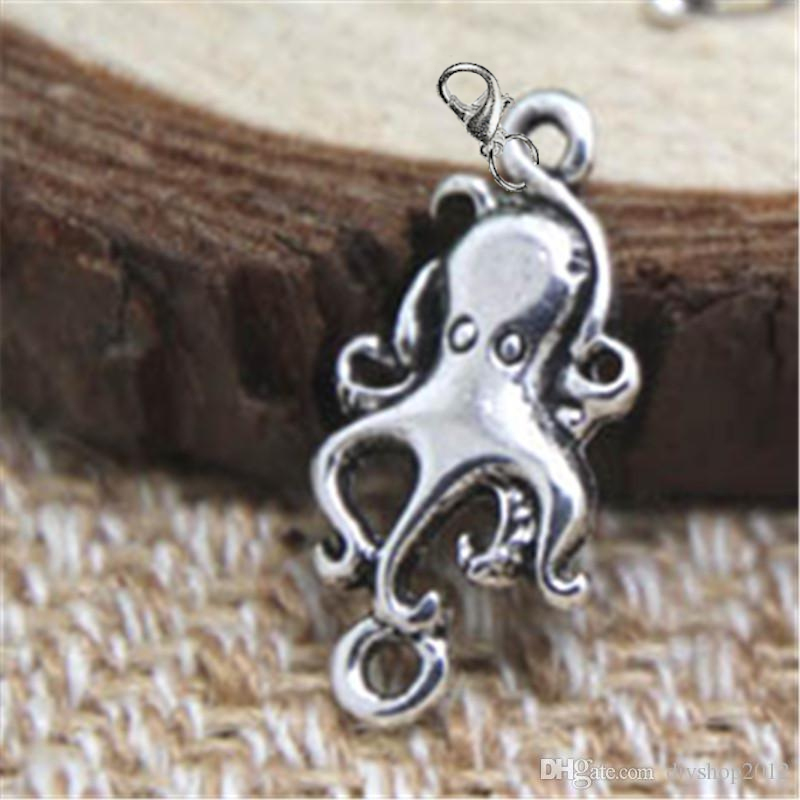 The metal octopus charm has a lobster clasp and measures 0.79" tall. 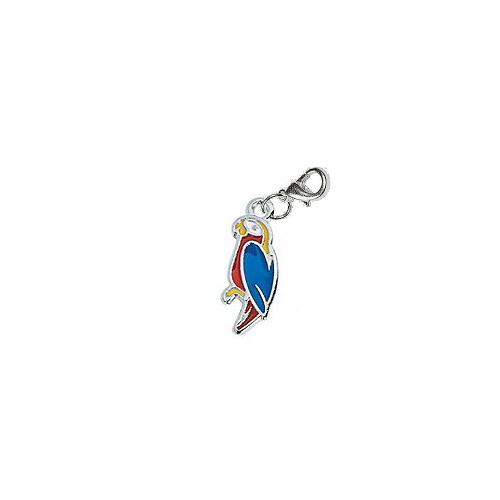 This colorful parrot is the sign of good times. 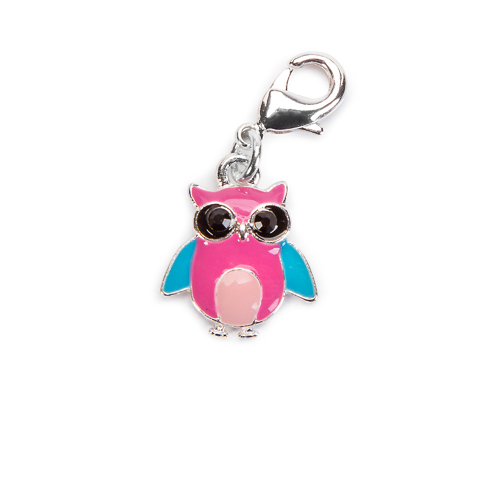 The silver colored, metal parrot charm with lobster style clasp is 0.82" tall.